Smoothes wrinkles and reduces signs of fatigue. 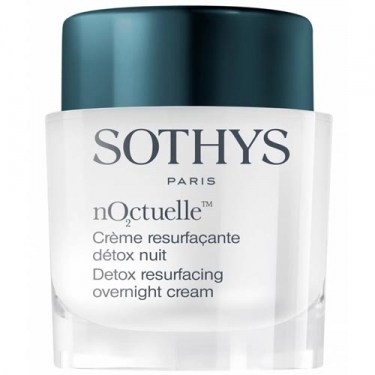 DESCRIPTION: Noctuelle Crème Resurfaçante Détox Nuit from Sothys is a cream with a concentration of technology with a pleasant fragrance that acts deep inside the skin to help erase the visible signs of damage caused by the environment during the day. This product helps to stimulate cell activity and visibly reduce the signs of aging. Apply at night after the serum on the face and neck.